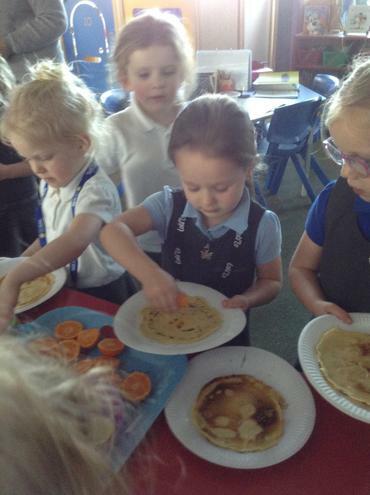 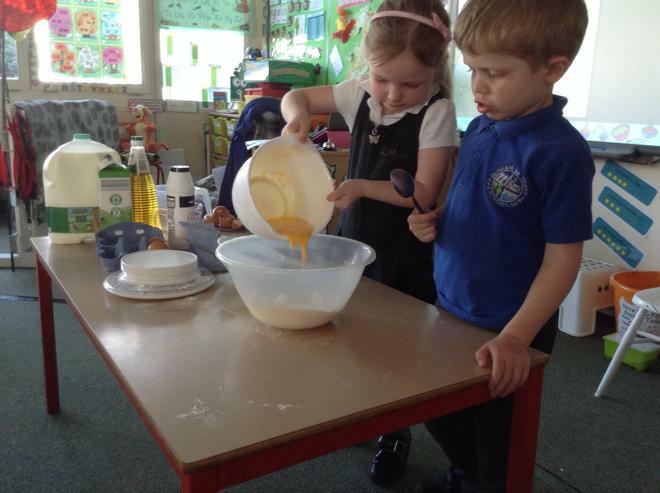 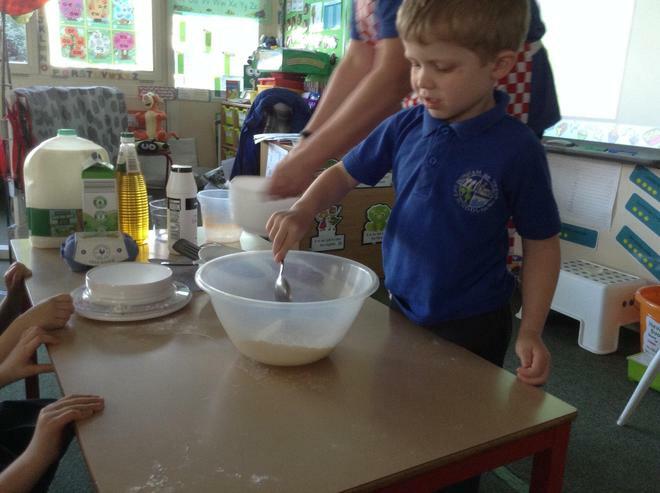 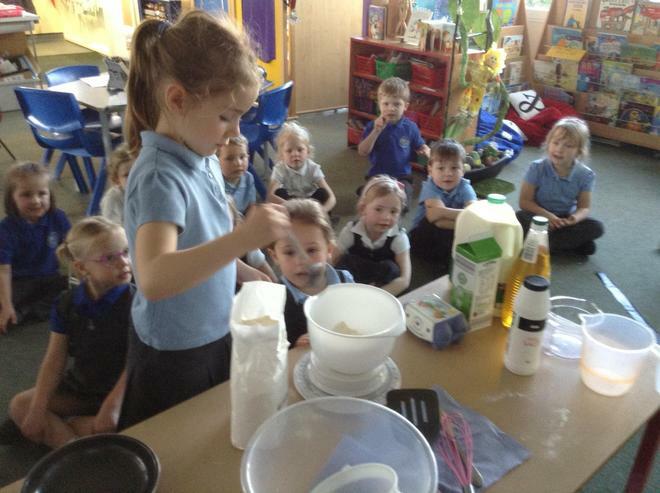 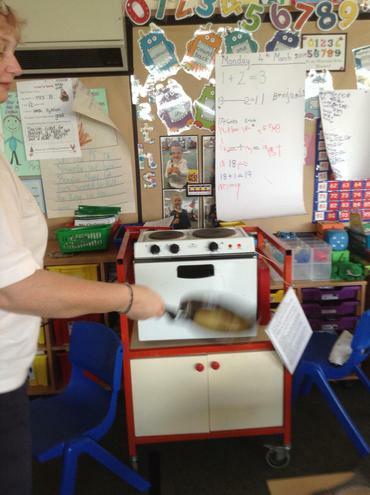 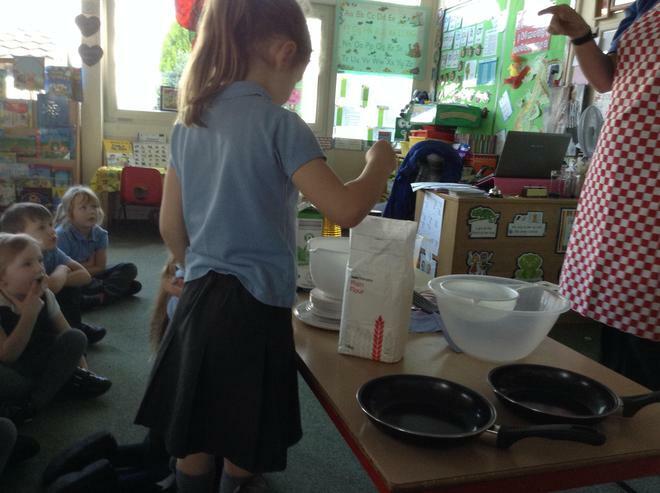 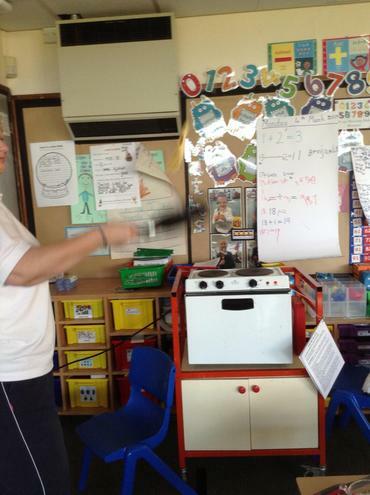 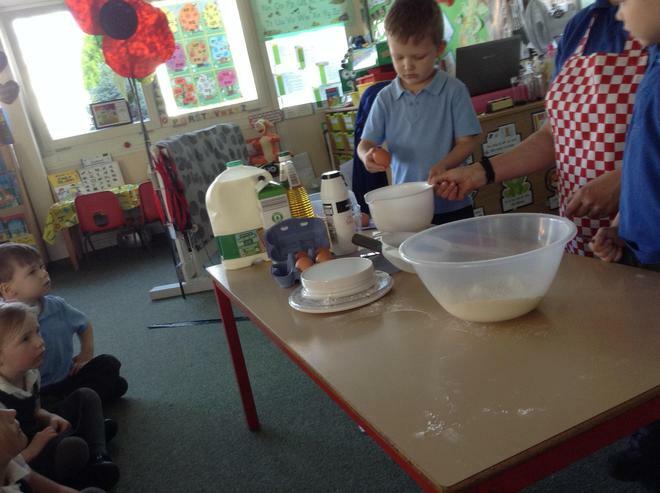 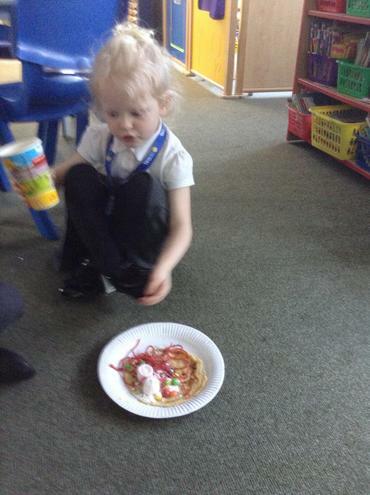 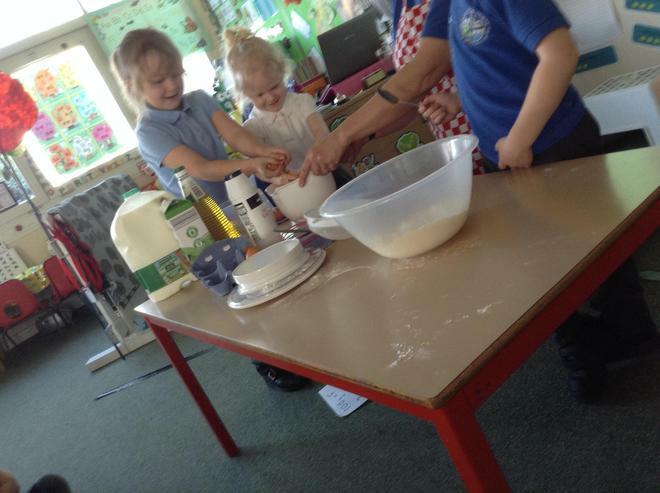 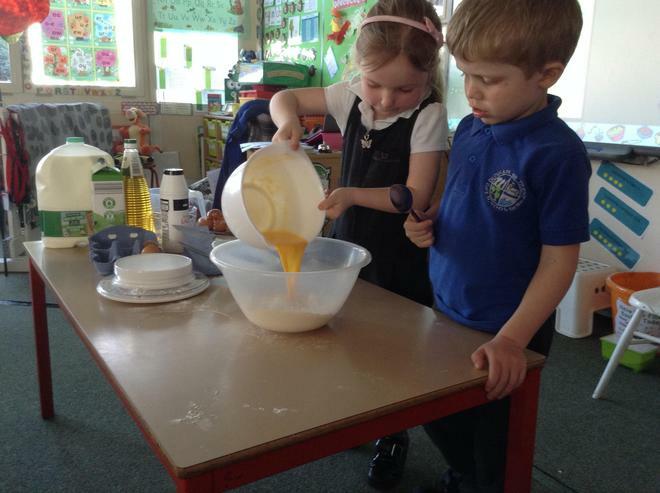 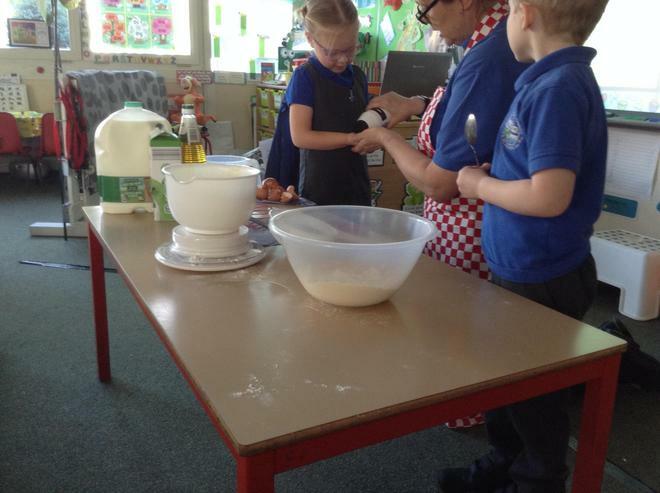 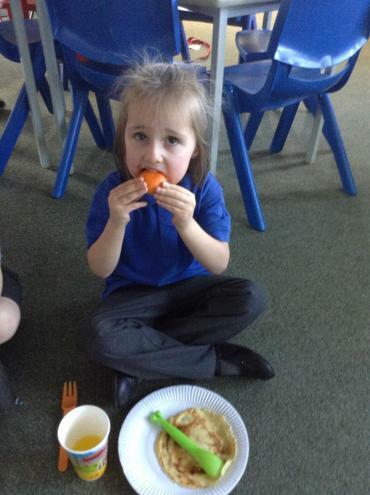 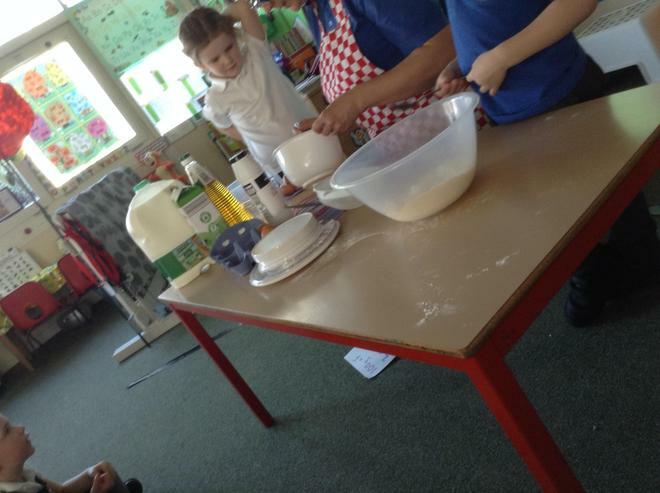 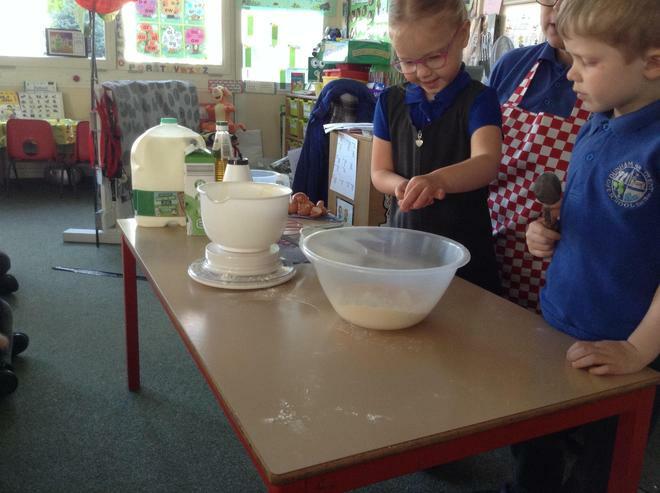 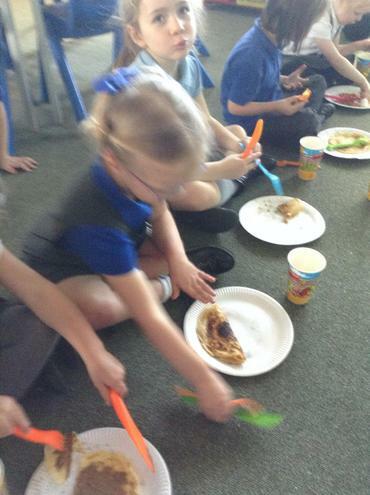 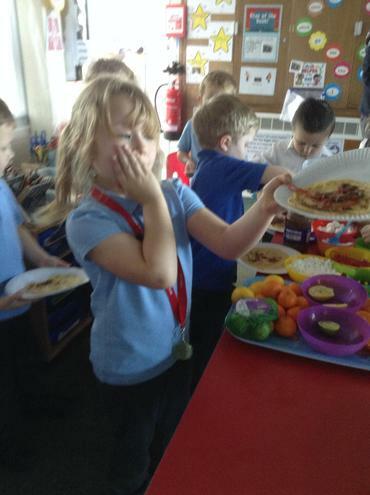 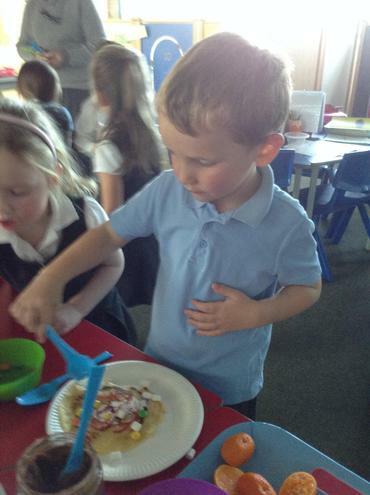 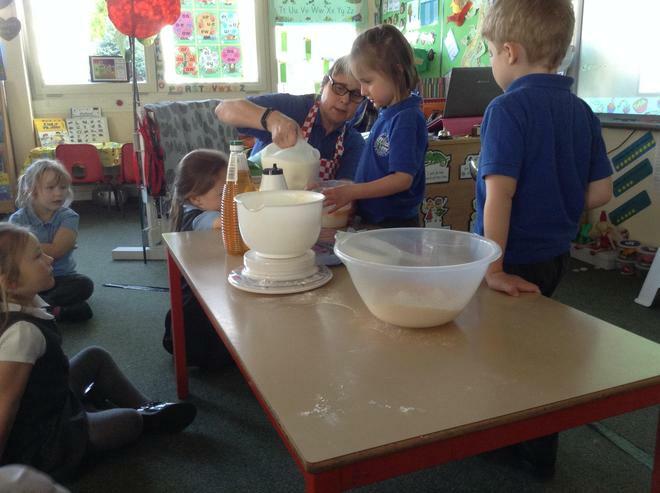 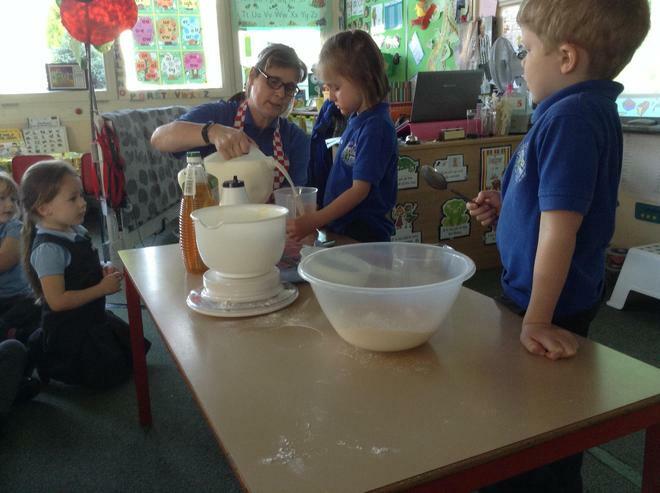 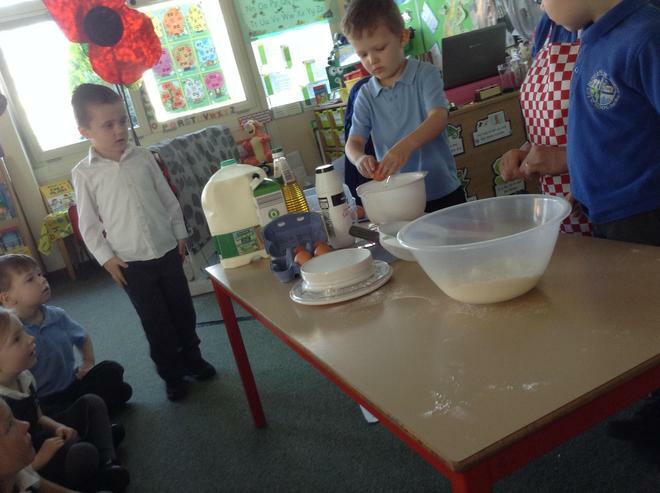 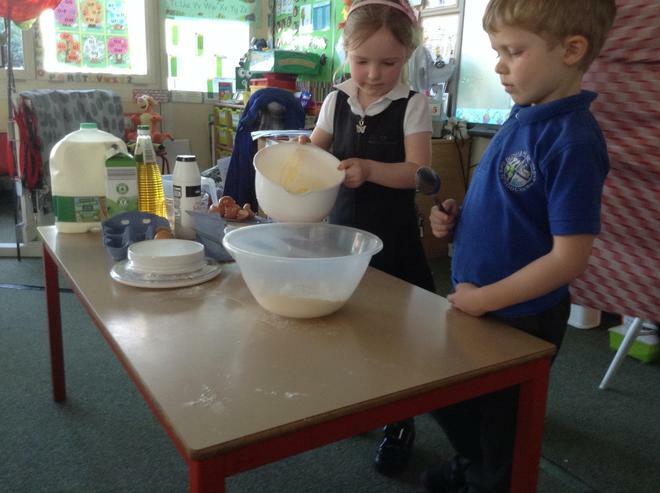 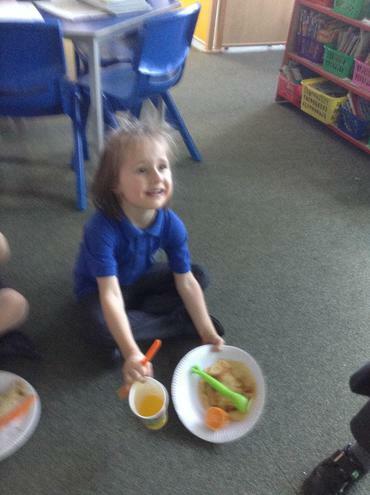 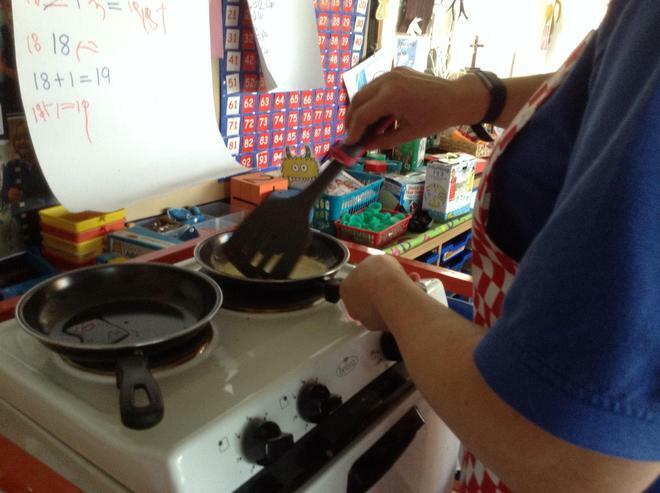 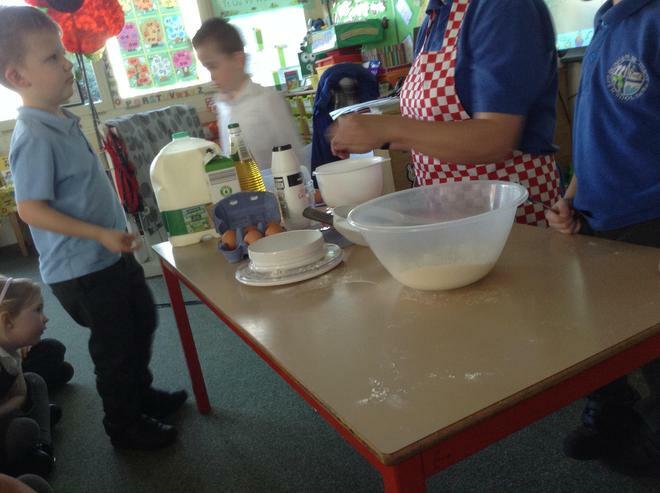 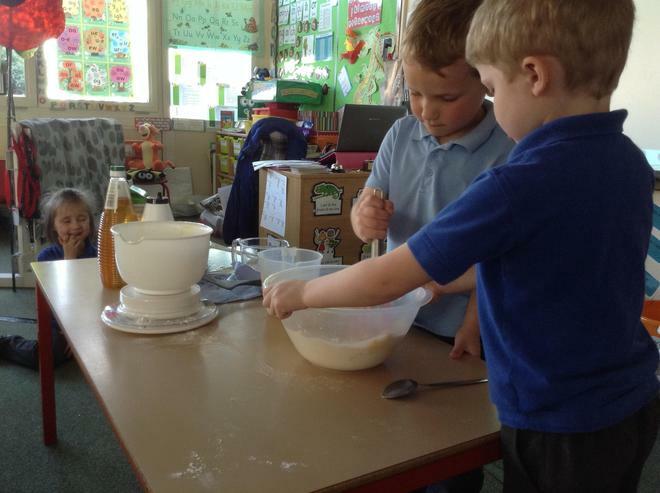 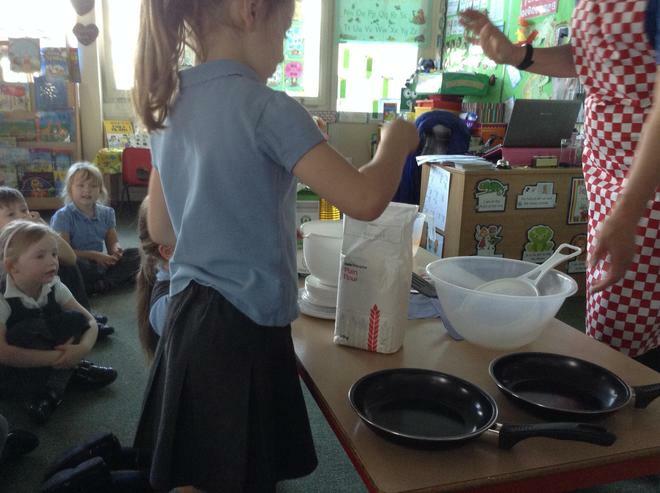 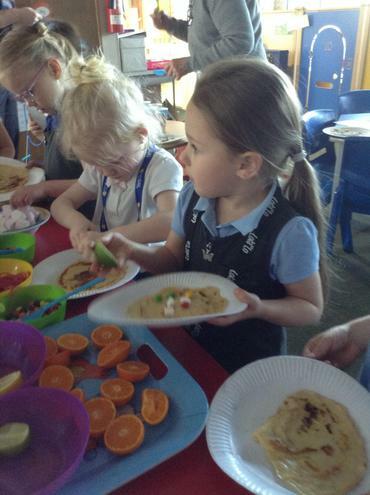 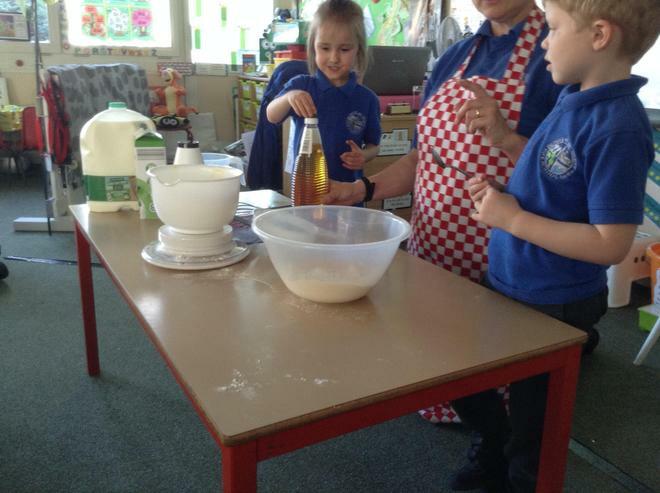 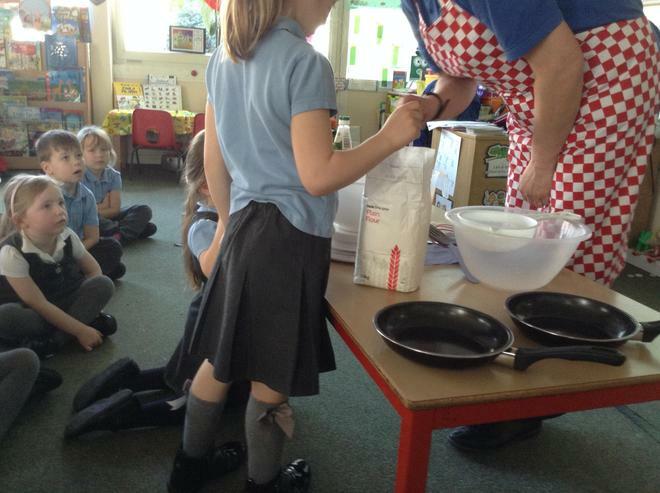 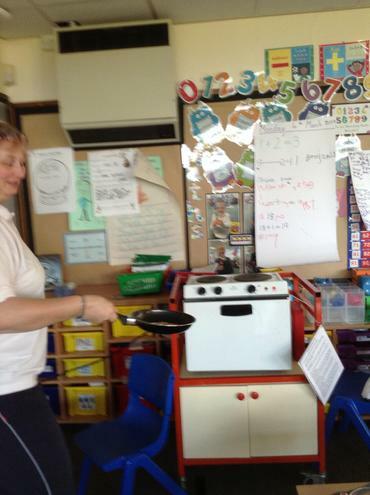 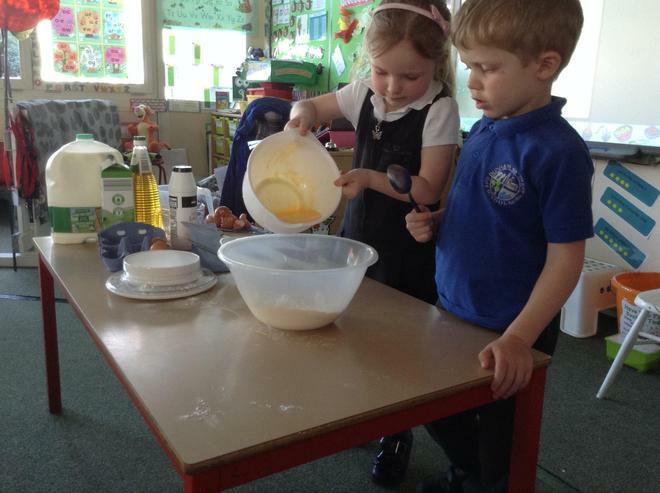 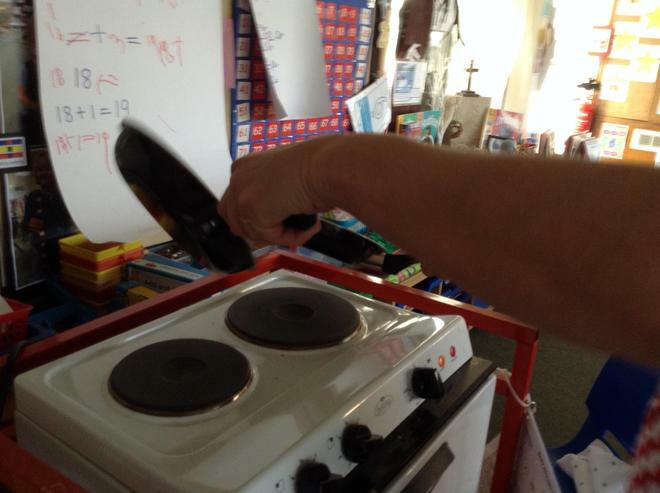 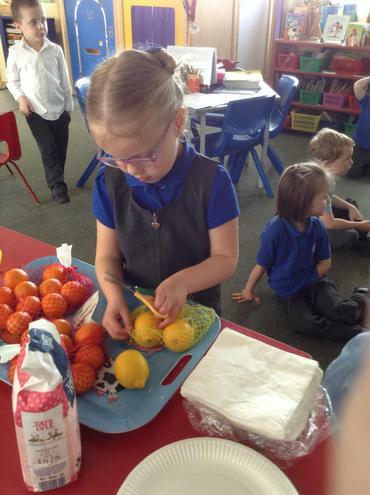 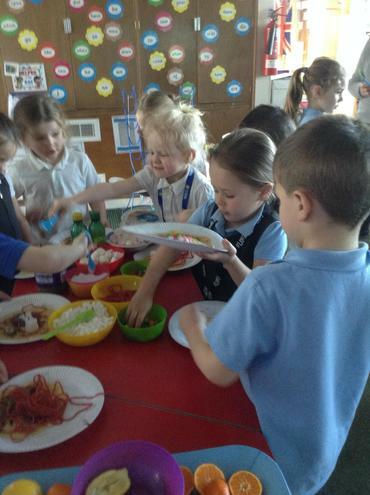 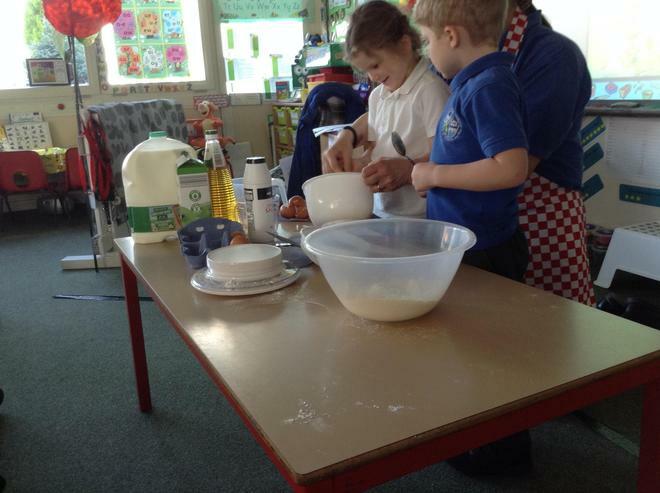 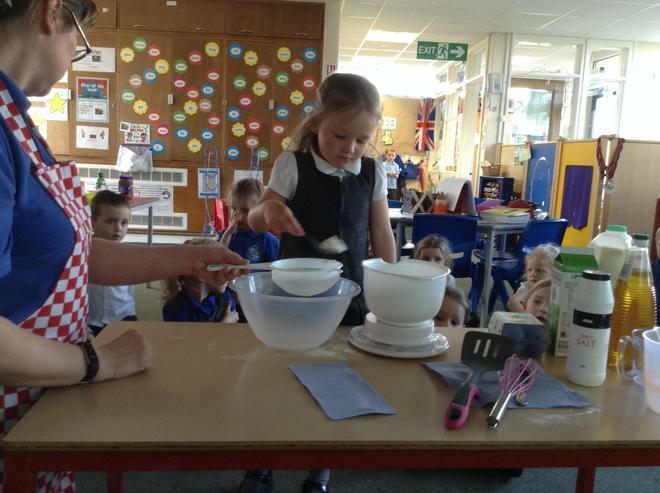 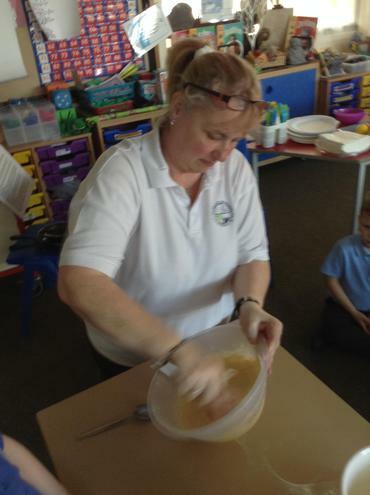 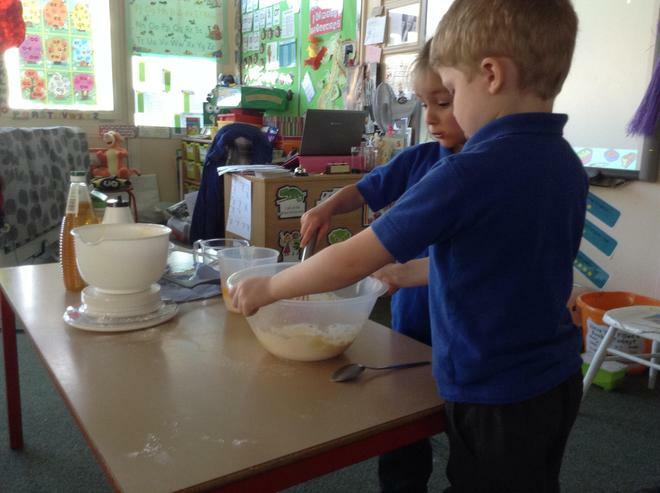 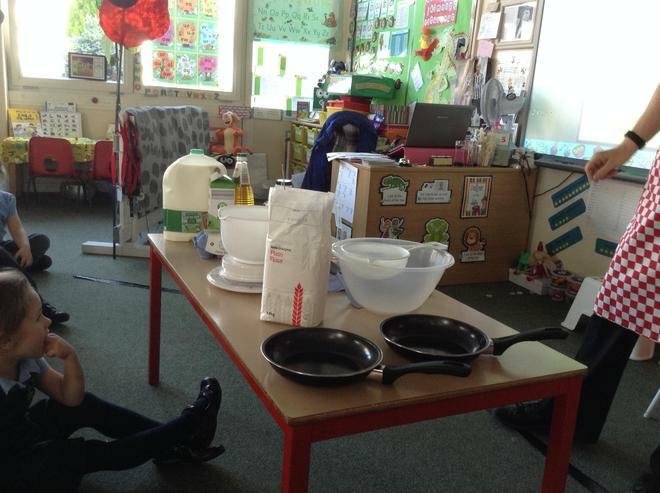 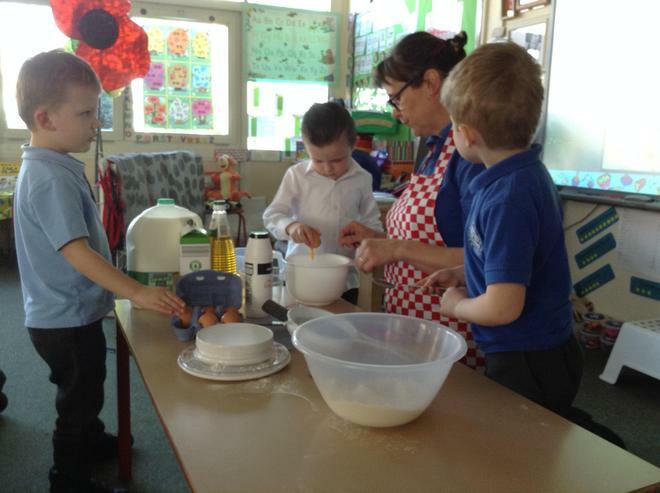 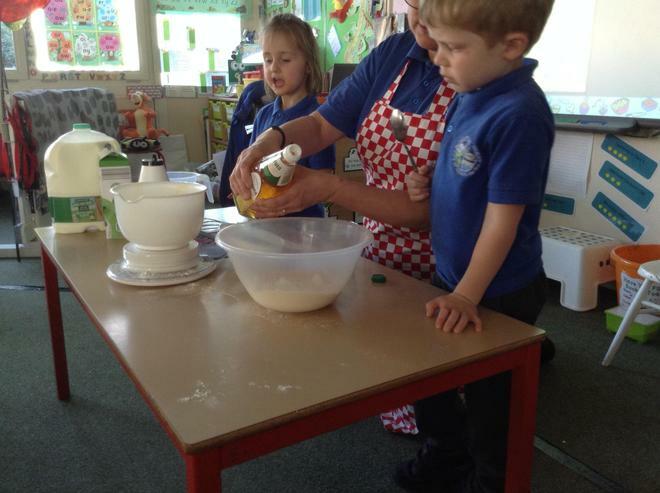 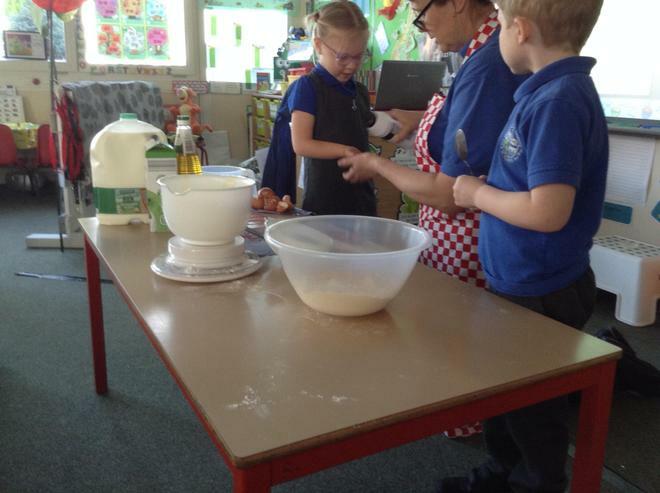 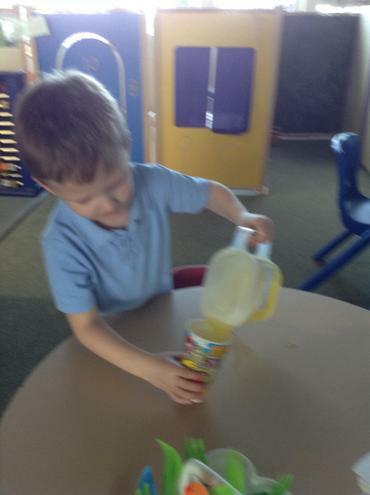 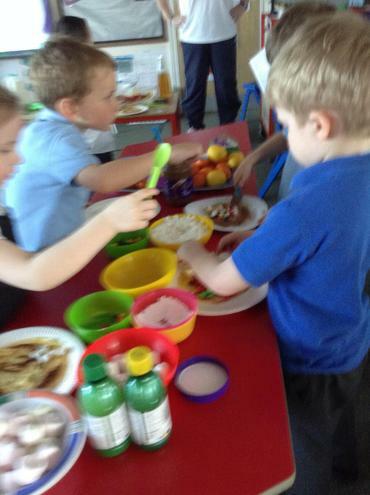 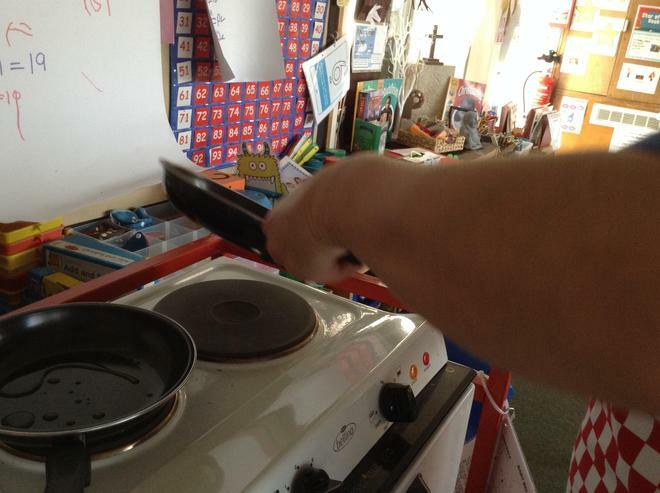 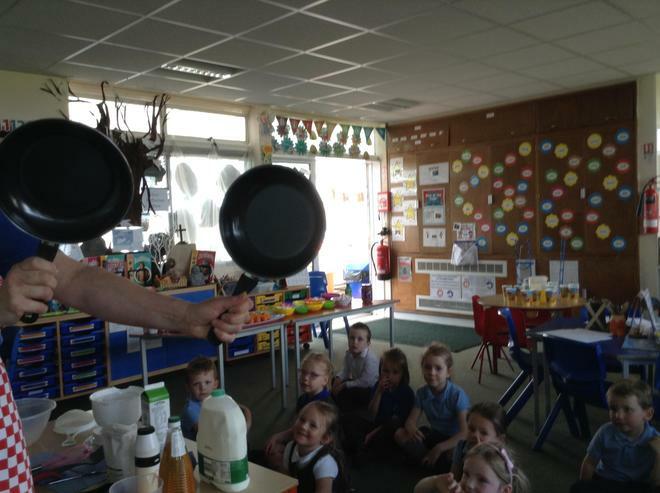 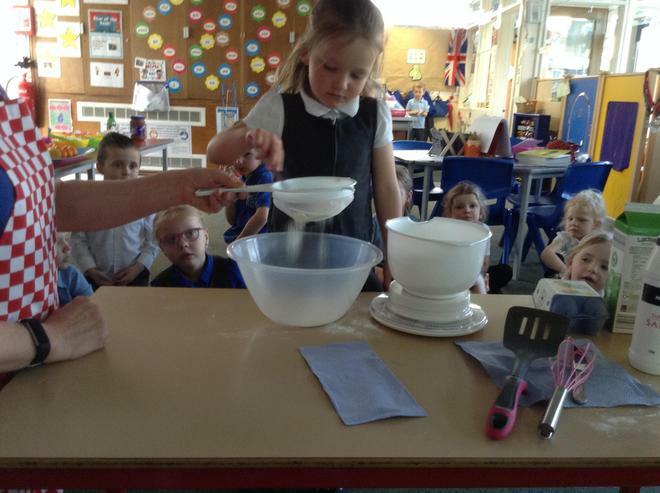 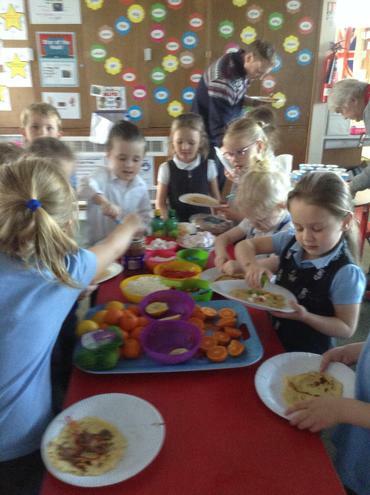 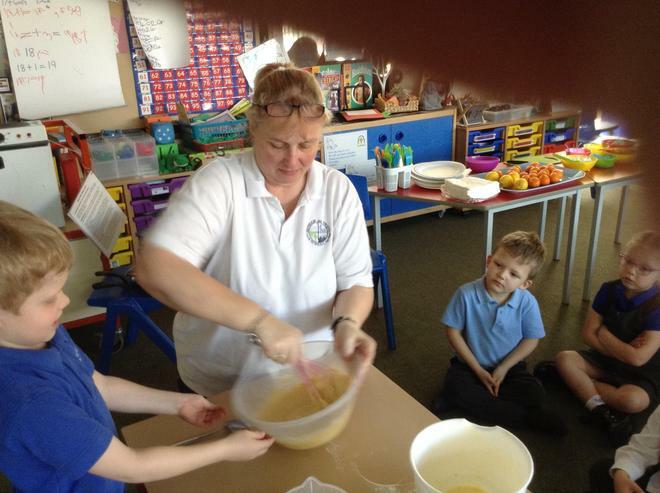 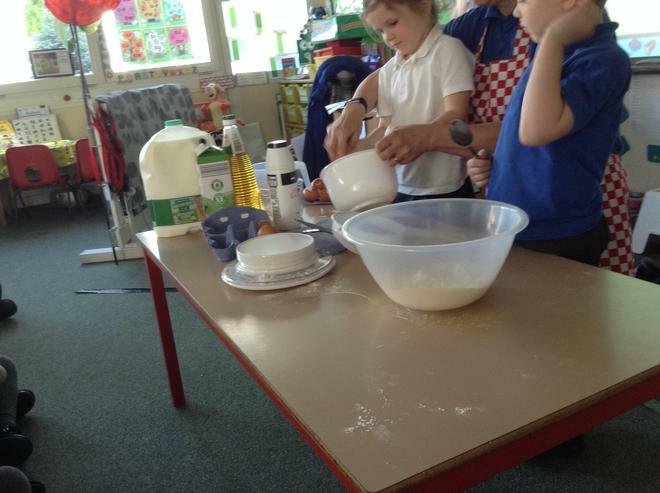 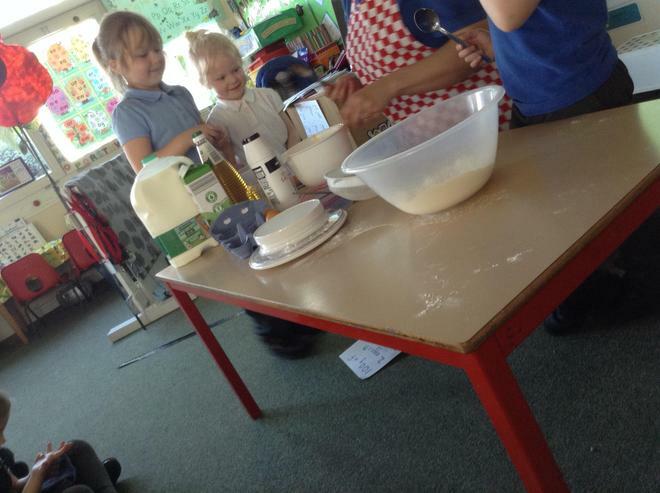 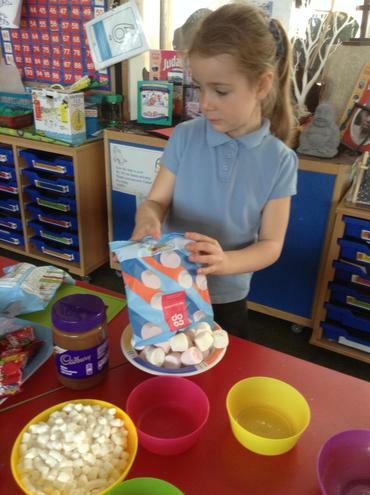 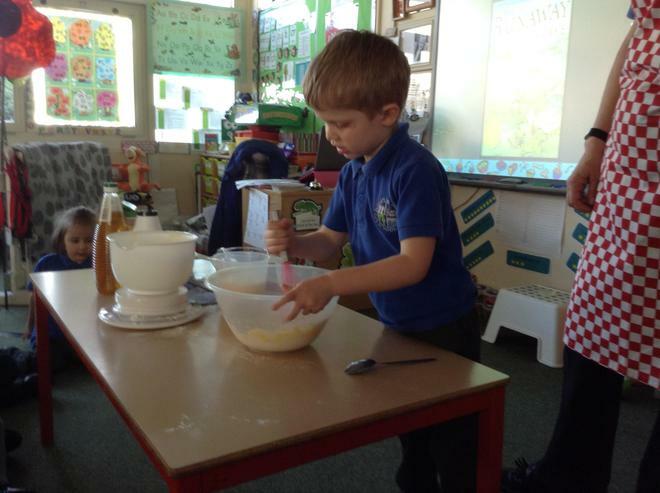 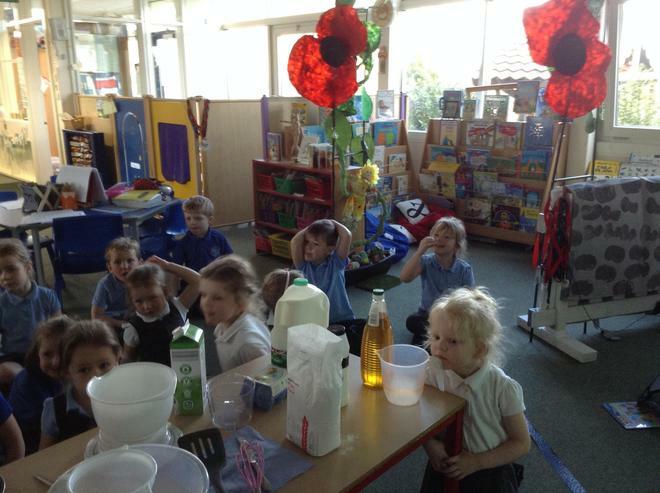 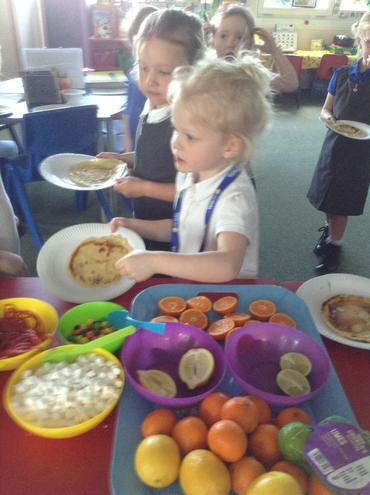 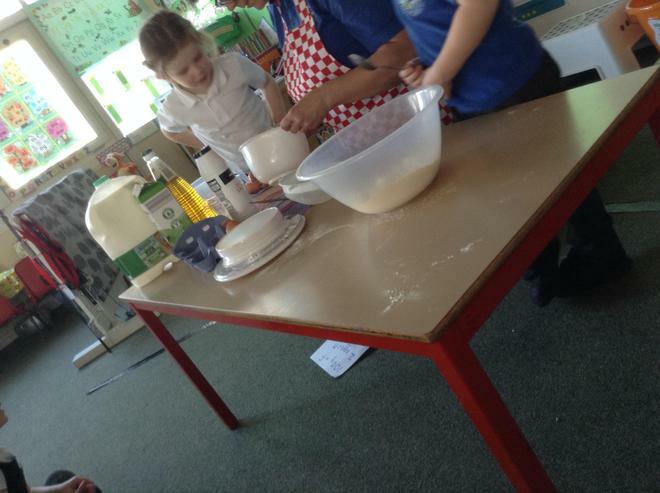 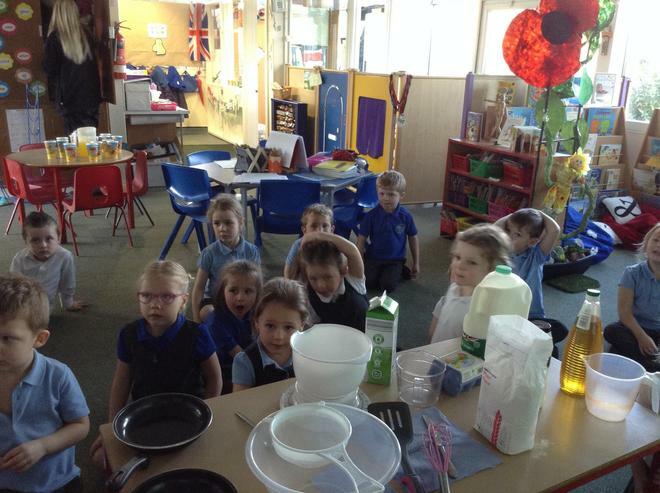 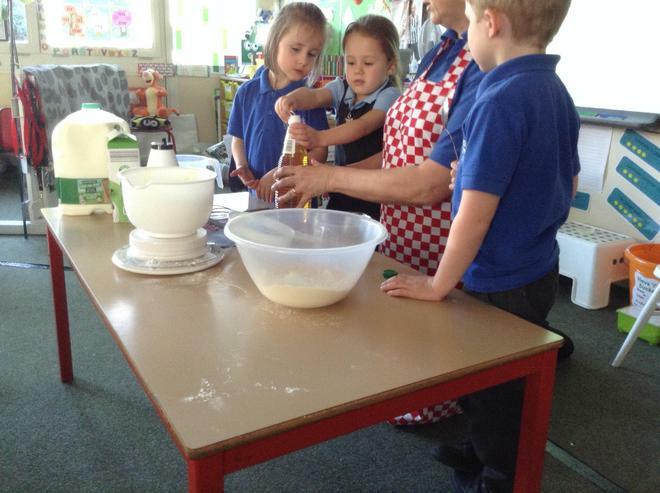 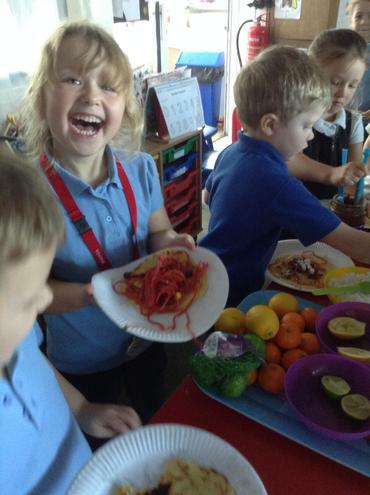 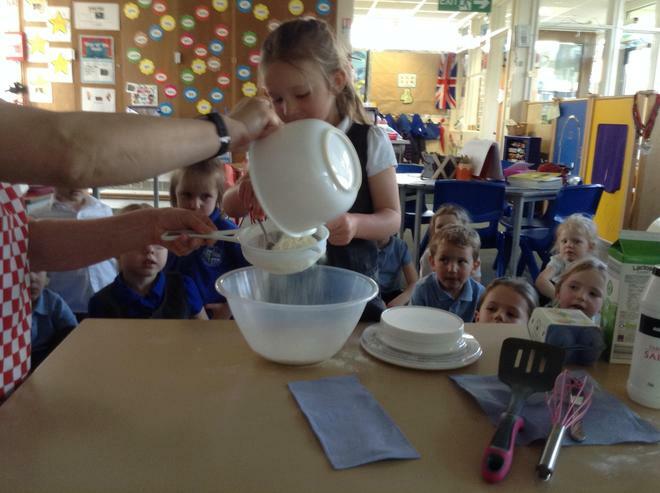 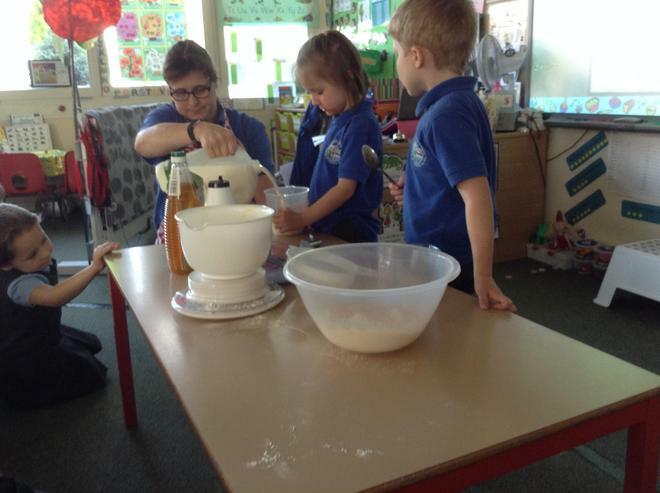 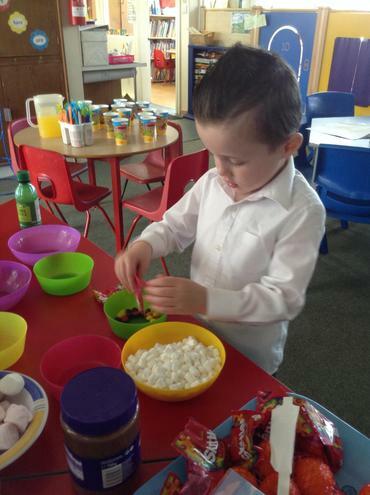 Enjoying making, decorating and eating our pancakes. 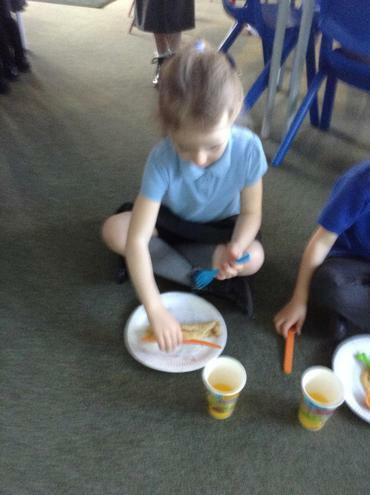 We had a feast! 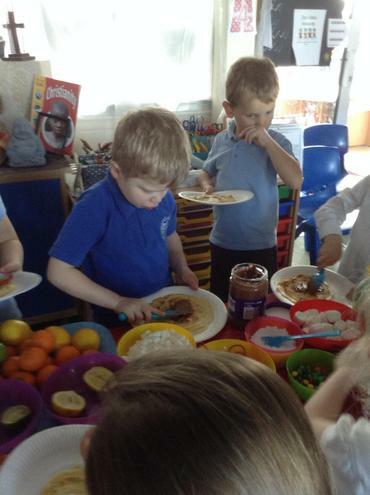 Shrove Tuesday is the day before Lent starts on Ash Wednesday. 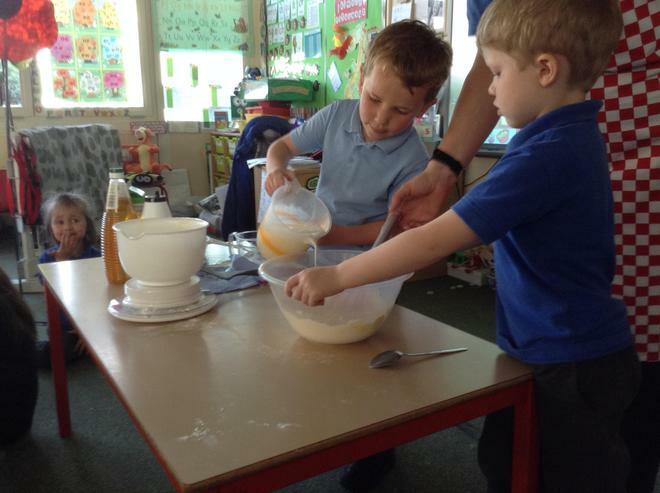 The name Shrove comes from the old middle English word 'Shriven' meaning to go to confession to say sorry for the wrong things you've done. 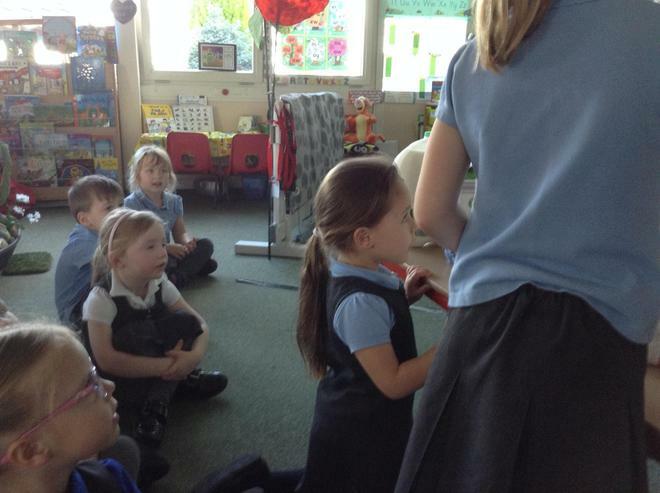 Lent always starts on a Wednesday, so people went to confessions on the day before. 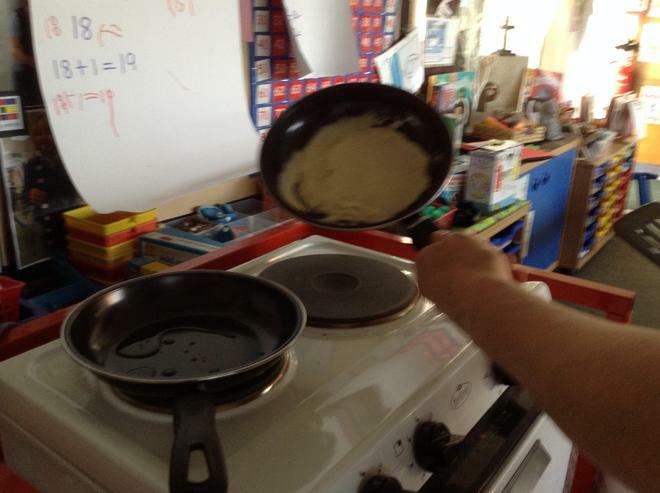 This became known as Shriven Tuesday and then Shrove Tuesday. 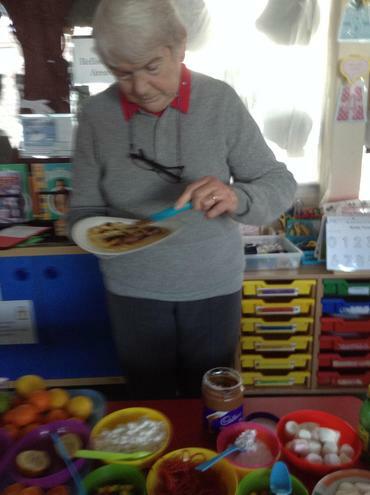 The other name for this day, Pancake Day, comes from the old English custom of using up all the fattening ingredients in the house before Lent, so that people were ready to fast during Lent. 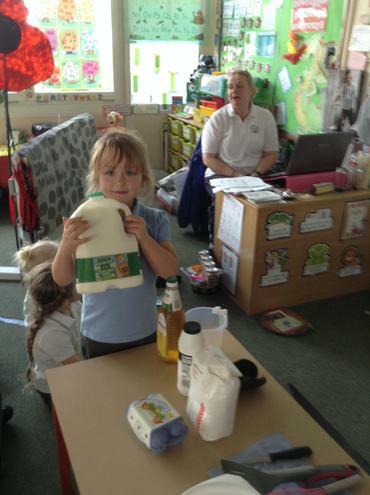 The fattening ingredients that most people had in their houses in those days were eggs and milk. 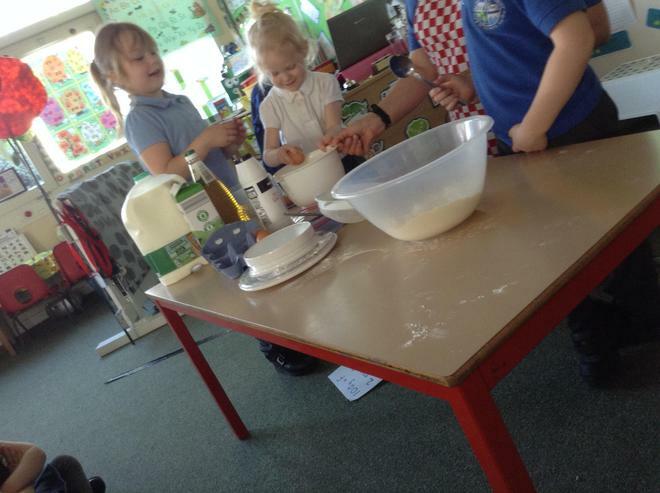 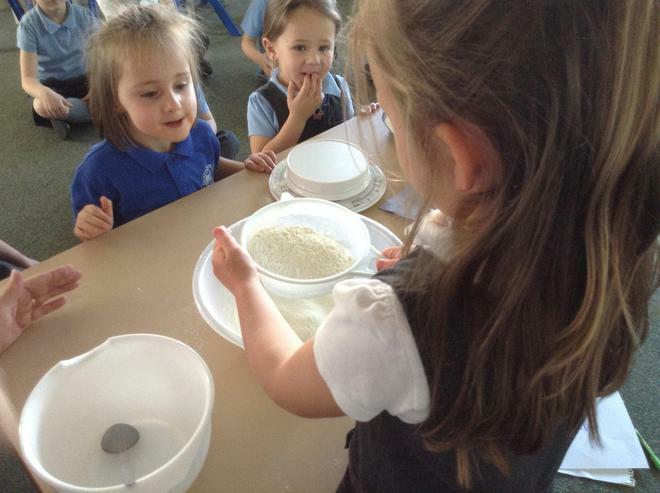 A very simple recipe to use up these ingredients was to combine them with some flour and make pancakes!